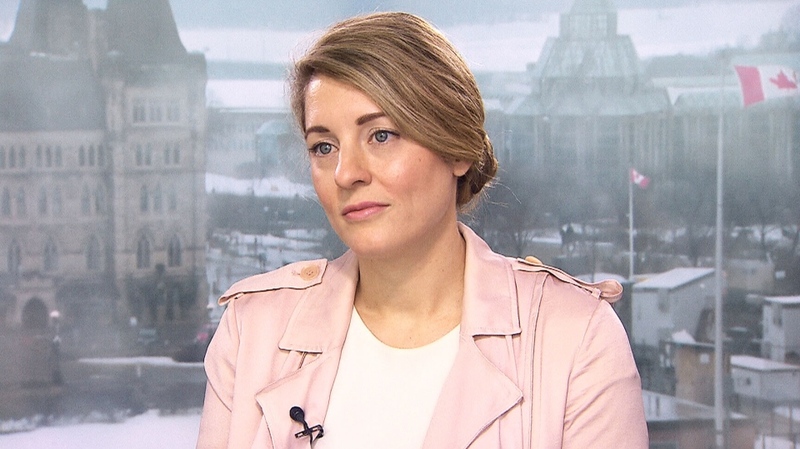 OTTAWA – Liberal Minister Melanie Joly is the latest MP to add her name to a growing list of party supporters who are pointing to the House of Commons as the place for former ministers Jody Wilson-Raybould and Jane Philpott to air any outstanding information they want to share in the SNC-Lavalin controversy. In an interview on CTV’s Question Period that will air on Sunday, the Quebec MP said that if her former cabinet colleagues -- both of which resigned amid the scandal -- want to speak, they have a venue to do so. “They can clearly speak, they can use their own parliamentary privilege to go before Parliament and speak,” Joly, who is a lawyer, said. Calls have increased in the last week for the pair to use the Commons to speak to the events surrounding alleged months-long pressure on then-attorney general Wilson-Raybould to seek a remediation agreement instead of criminal charges in a corruption case against the Quebec engineering and construction firm over business dealings in Libya. That’s because both Philpott and Wilson-Raybould have issued comments indicating they want to, or will be elaborating on the affair that has now dominated headlines for more than a month and a half. Philpott, who shortly followed Wilson-Raybould out the cabinet doors, citing a loss of confidence in the way the government is handling the scandal, said in the interview that she believes Prime Minister Justin Trudeau and his top staffers have been trying to “shut down” the story. “They have the opportunity, three ways: Before Parliament; through the ethics commissioner; and if the parliamentary committee on justice wants to continue to study this issue, it’s up to them to decide,” Joly said. It’s unlikely that the committee probe will be revived, and the ethics probe is largely a closed-door avenue. Liberal MP Marco Mendicino, who was also on Question Period, said that Philpott and Wilson-Raybould would have “immunity” if they stepped into the Commons citing various procedural experts and legal scholars. Trudeau has been consistently citing the waiver and the hours of testimony as evidence that Wilson-Raybould has already been able to speak “entirely and completely” about her experience on the SNC-Lavalin file when she was justice minister. “This is something that we have taken very seriously as a government and will continue to take seriously, but there has been a full airing,” Trudeau said on Friday. 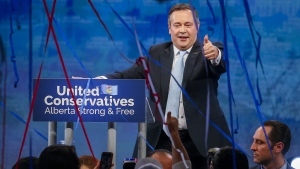 Rebuffing the idea in a separate interview on CTV’s Question Period, Conservative Deputy Leader Lisa Raitt said that all of the legal voices opining on whether or not parliamentary privilege is an adequate protection can’t hold a candle to the legal advice these two are likely receiving. In the early days of the scandal, Wilson-Raybould retained former Supreme Court judge Thomas Cromwell to provide legal guidance. She said that those suggesting all they need to do is walk into the House are putting “all the risk” on their shoulders and not where it should be: on Trudeau. “They’re the ones that are going to have to make sure that they’re not going to get sued or disbarred or looked down upon because they broke an oath that they made… they’re going to take all that risk, whereas the one guy who can just say, ‘You can speak about anything you want, lets clear the air,’ refuses to do so, and it’s their fault?” Raitt said. The opposition has used several procedural mechanisms to try to push Trudeau to waive all possible confidences, including a more-than-30-hour vote marathon, to no avail. “Let’s just rip the Band-Aid off, let’s get this done, bring them in, have a conversation, lift the waivers, relieve them of their oaths, get it done,” Raitt said. Former NDP Leader Tom Mulcair said on the show that he thinks eventually Trudeau won’t have a choice but to “lift the veil,” with pressure of the story expected to keep up. Aside from the slow drip of news on the SNC-Lavalin story is the question of whether or not Wilson-Raybould and Philpott will, or should, remain members of the Liberal caucus. Trudeau has deferred on this question, saying it’s a decision that is up to them, but now some think it should be put to a vote in caucus. On Wednesday, Liberal MP Celina Caesar-Chavannes removed herself from the caucus, saying that she no longer wanted to be a distraction, after she accused Trudeau of acting with “hostility” towards her when she said she wouldn’t be running again. “They know that they have to make a choice,” Joly said. Liberal Minister Melanie Joly is seen here during an interview with CTV’s Question Period.